The Field Bag is the perfect project bag. Made from a sturdy cotton canvas with a vegetable-tanned leather carry loop, the bag is designed to stand up, with a wide-open mouth. 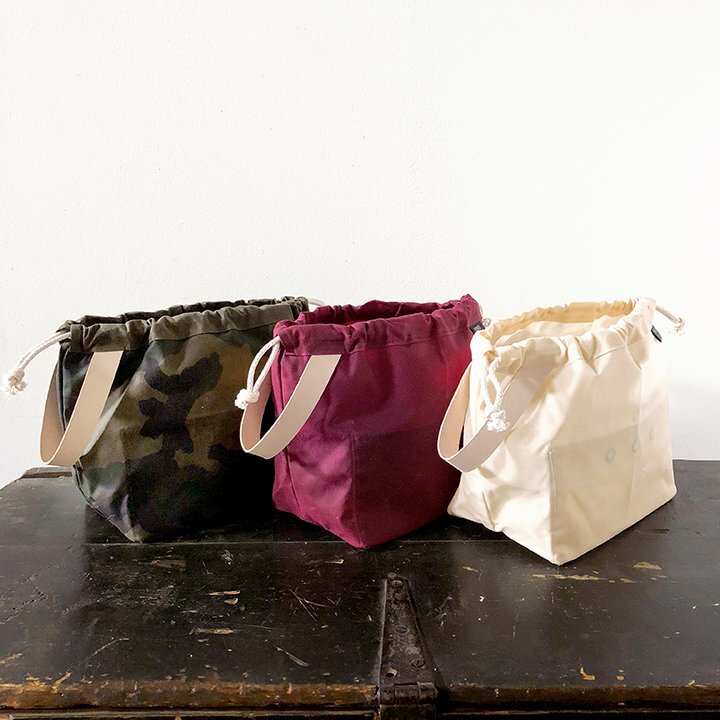 The bag closes with a double drawstring made of cotton braid and inside the bag there are various pockets perfectly sized for your pattern, tools, needles and other implements. The largest pocket has three smooth grommets, for feeding your various yarns through to help keep them from tangling. The black and grey canvases are very slightly thinner than the natural, but still super sturdy, and the coloured bags have a water-repellent finish. The Field Bag is approximately 9.25″ x 4.5″ base (14″ wide at top), 9.5″ tall. Category: Bags Tags: Field Bag, Fringe Supply Co.
Firstly I would like to say ,WOW! amazing service from the sale guys, ordered this one day and it came the next , this is a very sturdy bag, would suit male or female , the leather handle is in a very pale cream colour but will age beautifully, the draw string cords are tough , in fact so tough that my dog thought it was a new grab and I pull toy , they did not break unravel, or anything , if your into doing , socks ,sleeves etc two at a time ,or three, then great they have three eyelets to thread your thread through , no messing there. I put my pattern ,and every thing else I needed into this bag with me for a long train journey , no yarn messed, if you want, then you need, this bag , treat yourself I dare you . I have longed for one of these bags ever since I saw how useful they were but thought I could only purchase directly for the USA. I discovered YAK stocked the Field bag and ordered the natural colour. The bag has lived up to more than my expectations and I would recommend the bag and the excellent service from YAK to anyone. I couldn’t believe it when my order arrived the next day, beautifully presented. Normally I keep things before using them but I filled the Field bag up straight away and it hasn’t been out of use one day from receiving it. Even though I am not out and about with it the practicalities are beneficial for my knitting projects. The bag doesn’t fall over with everything falling out. The side handle is just right to lift my bag full of wool, needles and any bits and bobs for my project without loosing anything. I can keep my wool from rolling about when knitting and the pockets provide space for the needles I need for the project and sometimes this will be quite a few. I hope my dreams of owing a Porter bin will be my next purchase as The Fringe Supply co keep posting photos on their social media to show me how useful one or two of this style would be to a constant knitter, like me! 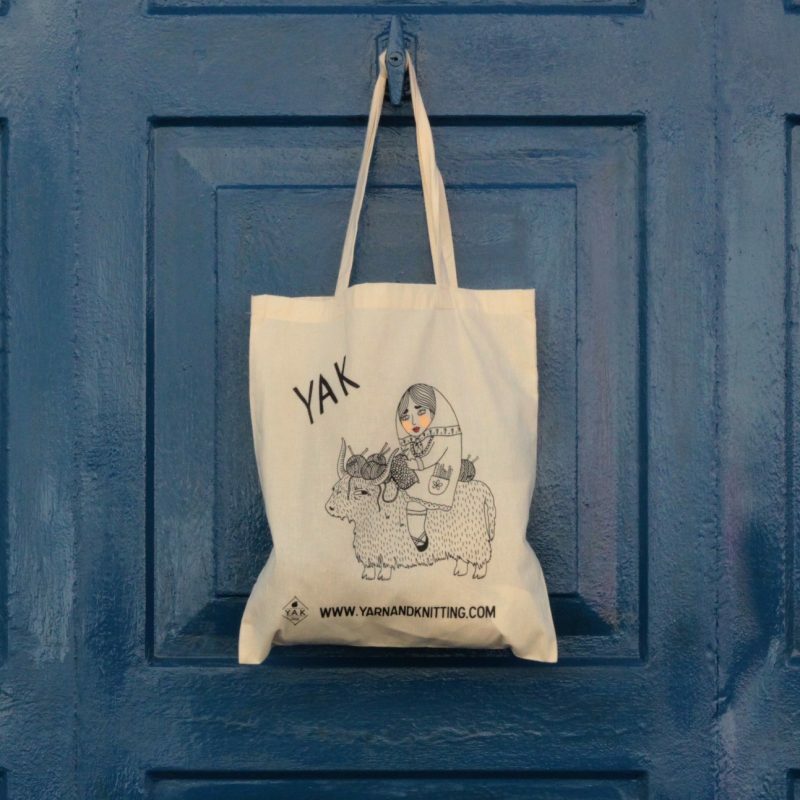 I would highly recommend the bag and YAK’s service. Thank you ever so much for this lovely comment Beverley! We’re really glad to know you’re happy with your purchase and our service, this means a lot to us. As agreed in our email, we’ll keep two Porter bins – one of each colour – aside for you and will email you as soon as they arrive. I absolutely love this bag. Keeps everything I need in one place and is so portable I take it everywhere. I can’t wait for more to come into stock so I can grab at least one other colour! 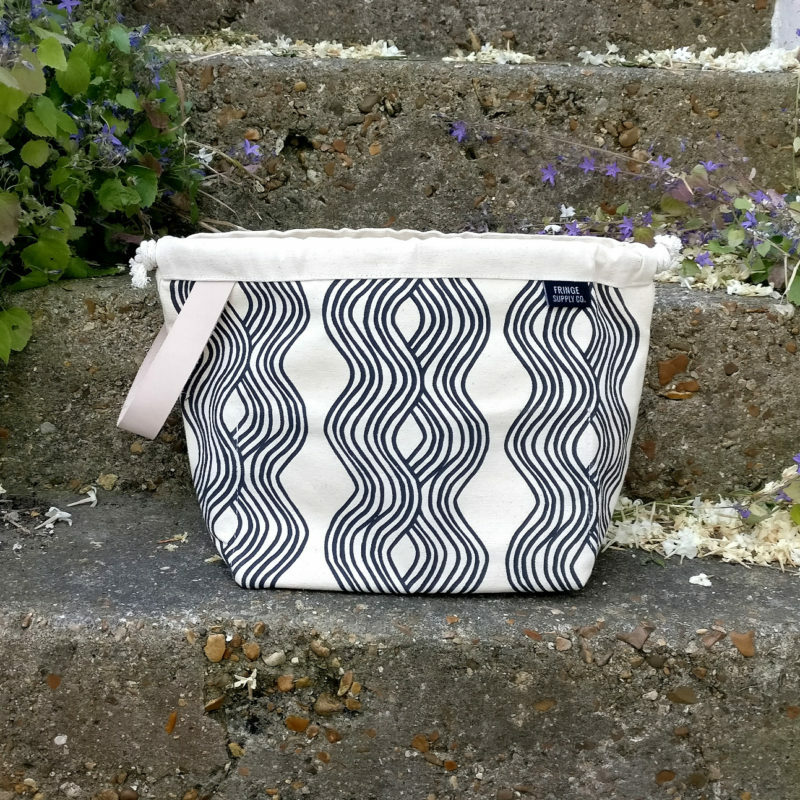 Sometimes knitting bags can be a bit fussy but this one has lots of pockets and metal grommets for threading your yarn through keeping colour work less messy. I keep a row counter, embroidery scissors, tape measure and a small metal tin full of stitch markers in the smaller pockets and on the other side with the grommets the pocket is plenty big enough for your patterns. I highly recommend this bag, although pricey, in my opinion worth every penny. 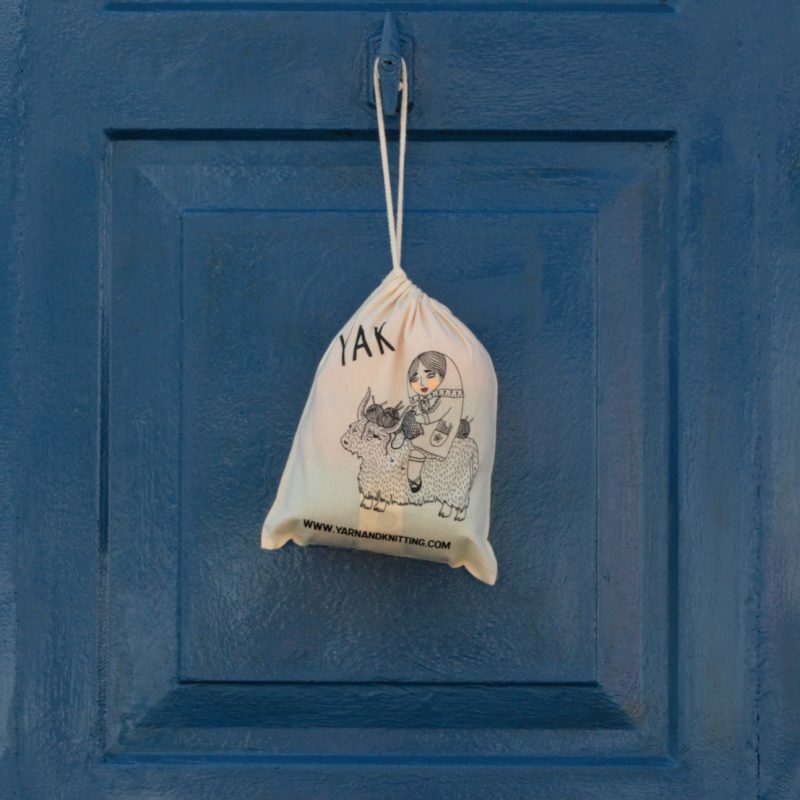 Yak always provide excellent customer service and I’ve always received my delivery the next day! What more can you ask for.